School. Is. Out. For. Summer. Those four words can be some of the scariest words for many parents. After a day or two, this usually means hearing “I’m bored” on an endless loop for three months. This isn’t the case at our house. STEM kits and toys are the perfect way to keep your kids engaged and entertained for hours on end during the summer. This is where the Thames and Kosmos STEM sets come in. What do STEM toys and kits do? 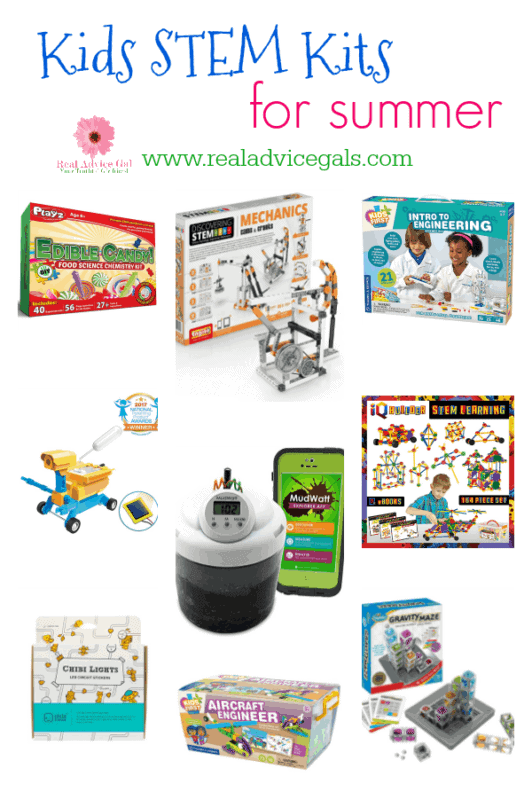 STEM toys and kits are perfect for those hands on learners. It allows them to engineer things using their science, mathematics, and technology knowledge. Not only do they use their current knowledge, but they are also able to expand on their current skills and learn more. STEM toys and kits are great because they have so many uses. It isn’t like many other kits or toys where after a few uses they toy gets set aside and not touched again. 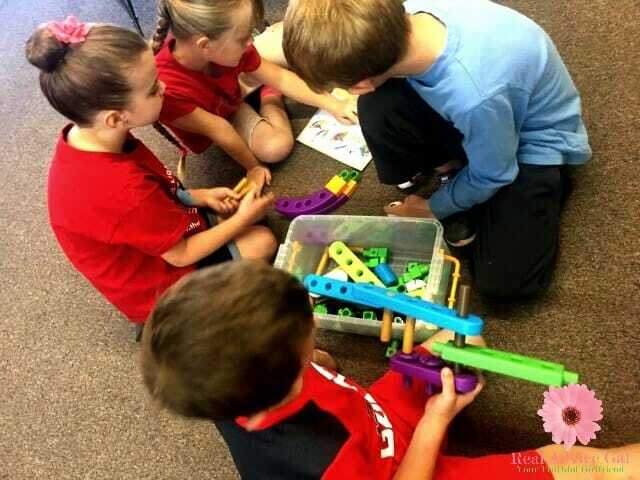 There are so many different ways to explore and learn with STEM toys and kits that they can be used and reused several different times and ways. Each time something different will come of it. Even if they think they have exhausted all the possibilities there is still more to do. The many different possibilities is what will keep your kids engaged through the summer but, they will still feel like they are having fun. Where can I find STEM toys and kits? STEM toys and kits are pretty easy to find these days. 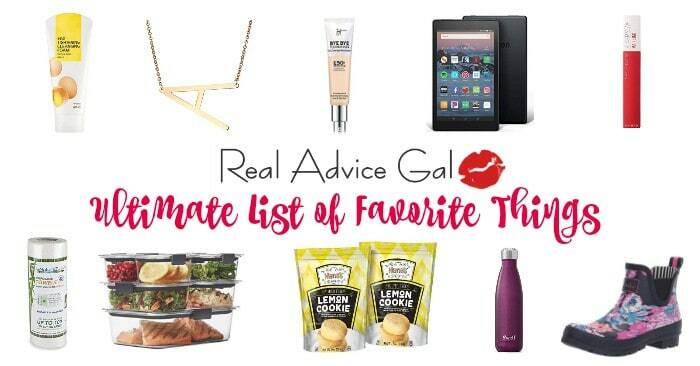 You can find them almost anywhere. Thames and Kosmos have several types of STEM kits. A few examples of what they have are: Kids First Physics Lab, Master Detective Toolkit, and Physics: Simple Machines. Some kits even offer the opportunity to work with Nanotechnology. 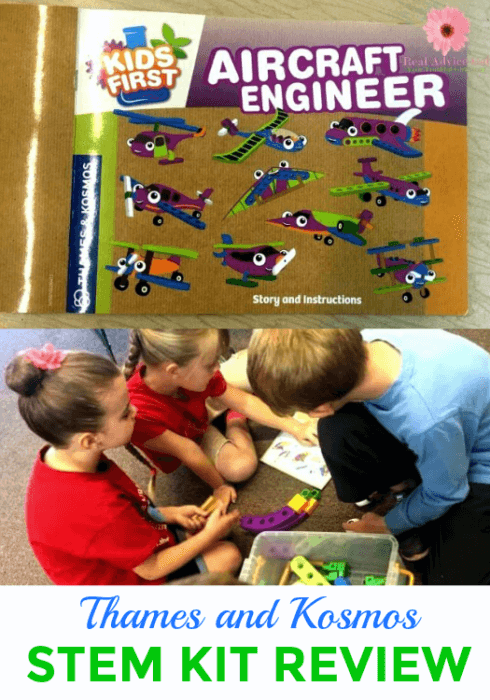 The Aircraft Engineer kit is a perfect example of the kits they offer. Inside this kit you will find a total of 71 pieces. 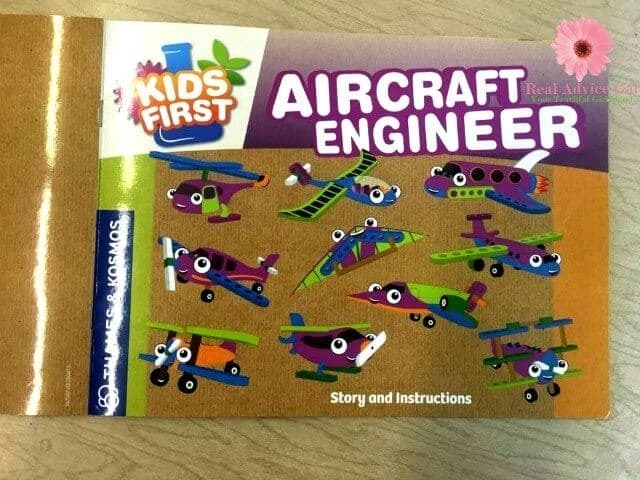 These 71 pieces allow your kids to assemble several different types of aircrafts that are needed to travel through the colorful illustrated story book that is also included. My kids are too young for STEM kits and toys. If your child can build with blocks, your child can use STEM kits and toys. With your help they can follow directions or, let them be creative and see what they come up with on their own. When left to their own imagination, they will dream up some pretty awesome things. With STEM kits and toys your options are almost limitless.